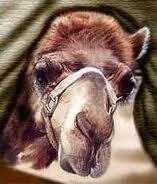 Have you ever heard the phrase ”don’t let a camel get his nose under the tent”? Apparently, once he does that, it will not be long before his whole body is inside the tent, and he will be wreaking all manner of camel-havoc. Two subjects in the news lately. One is about California Governor Jerry Brown will sign a bill allowing non-physicians to perform first trimester abortions. We have just gone back to the early 60’s and all the horror stories about back–alley abortions, and we must legalize them, because women are dying from back-alley abortions! This is starting all over with the statement that it will only be done in the first trimester. Does that statement sound familiar? It looks as if the camel is moving his nose under the tent. The other subject is about euthanasia in the Netherlands. Euthanasia began ‘innocently’ enough. Wholesale death in our society always does, but incrementally and insidiously the numbers rise higher and higher for fewer and fewer restrictions, and some cases become so complex that it instills fear and confusion into the whole culture. It would just have been so much simpler to not let the camel within 25 feet of the tent.